During the “Emerge Americas Hackathon 2018,” the theme was “Miami Resilience” and specially with all the hurricane events in Florida a key element in those weather reports is the classic anemometer and wind speed measurements. As we all know, anything over “Tropical Storm” and Floridians prepare for the worst as our waters are so warm that anything can turn into a Category 3 – 5 hurricane very quickly. 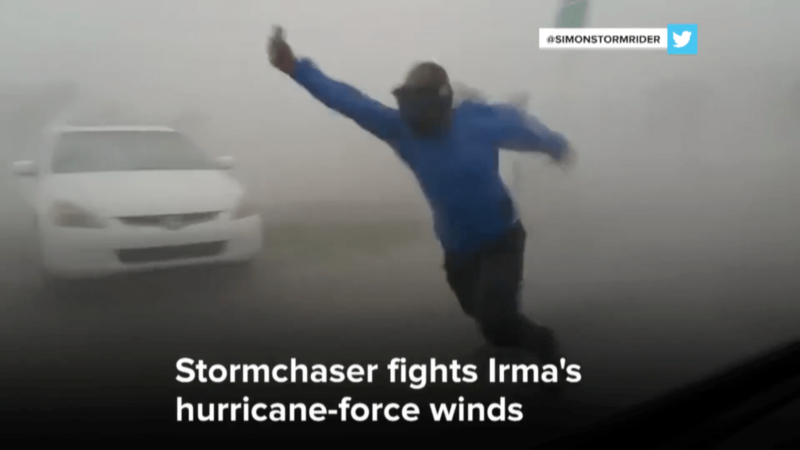 Stormchasers and weather channel meteorologist are indeed interested in taking a shot at measuring the storm with an anemometer. As we all recall, it is classical to see m any storm chasers holding an anemometer and measuring wind speed. In this figure, we have a hurricane-force winds of Irma, a devastating hurricane that passed by us in 2017. The idea with this project and the challenge was to measure wind speed when the only tool we have is the phone, indeed the phone can then analyze the video feed that is taken from the camera phone on the phone and compute the wind speed? Is this even possible? The answer is yes, by reviewing the video frames, I was able to identify a pattern and an index that varies from 0-5 and maps directly to the speed, not linearly but indeed a mapping exists. 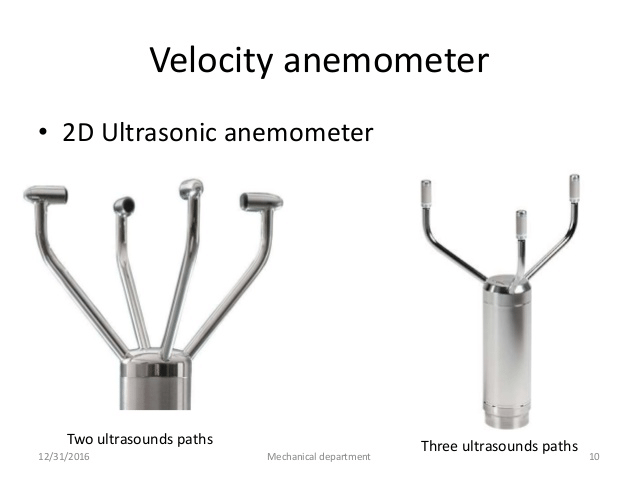 In order to reviews this process, we need to replace a “velocity anemometer” whic h could be mechanical or ultra-sound, for a video-powered anemometer, or even better an augmented reality device that basically augments the reality by providing the user a read on the hurricane or the wind speed. For that, the main tool will be a server located locally in a computer that will be analyzing frame by frame of the images and creating a correlation function based on the number of squares that are computed after the threshold. This process and system has been filed for a provisional patent. 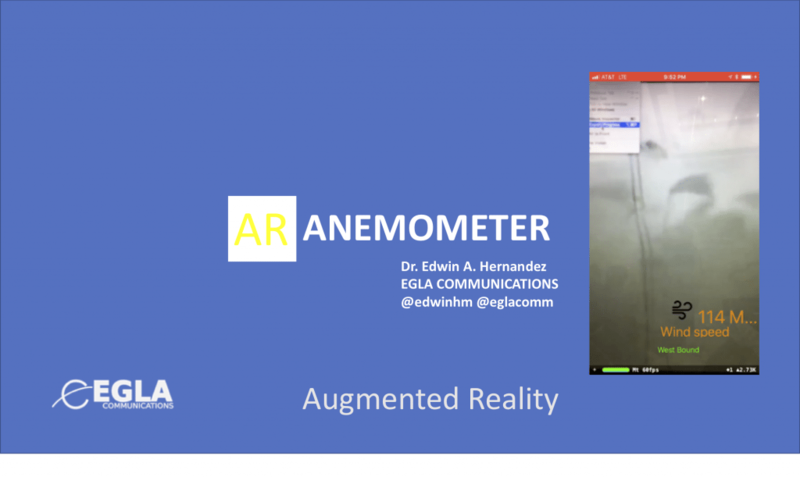 I will be providing more updates as I get the sources in github and can complete doing other adjustments to the AR App.